The bike and frameset will be raced by members of Vitus Pro Cycling p/b Brothers UK, the Pro Continental team that includes some of Britain’s top talent, such as multiple Olympic Champion Ed Clancy OBE. “Alongside the likes of Ed Clancy and Scott Thwaites riding our range-topping ZX-1 for Vitus Pro Cycling, we are announcing a carbon frameset to our award winning Zenium model, and the evolution of our popular city and fitness bike, the Mach 3, with an eye-catching, modern frame design,” said Vitus Product Manager Jodie Shann. “One of the most exciting areas of evolution at the moment is brakes and, as a brand, Vitus firmly stand behind disc brakes. “You will see this reflected in the range with nearly all bikes disc, flat-mount, and 12mm bolt-thru. Vitus launched the original ZX1 race bike in 1991. It was one of the first monocoque carbon fibre race bikes to gain serious popularity, with advanced manufacturing methods allowing designers to push the aerodynamic boundaries of design. The new ZX-1 continues where Vitus left off in 1991 with a performance-focused road bike. Utilising Kamm Tail tube profiles, the Vitus designers were able to enhance aerodynamics without compromise, creating a comfortable yet stiff race bike with crosswind stability. 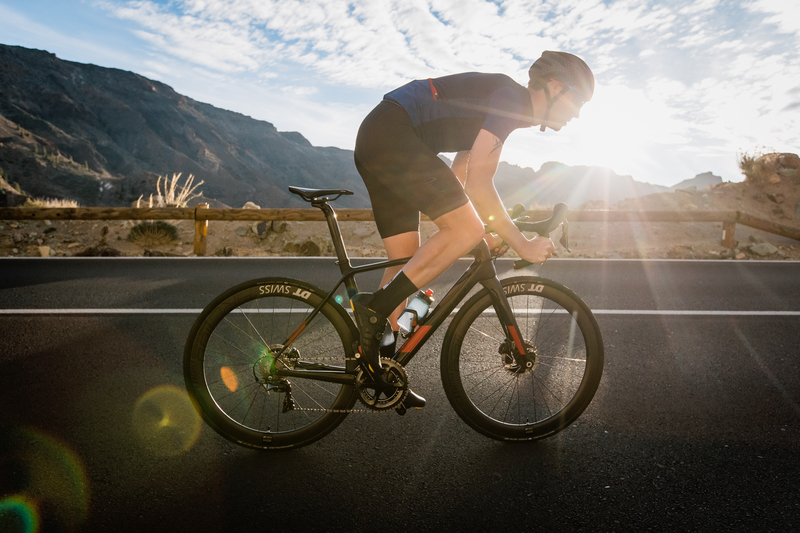 An asymmetric and oversized BB386EVO BB maximises drive and overall lateral stiffness, while the use of multiple carbon fibre layups maintains balanced power transfer on the drive and non-drive sides of the bike. The ZX-1 features flat-mount brakes and 12mm axles front and rear, secured by Vitus aero thru-axles. The thru-axles feature a removable lever which can be left in either wheel or removed for the full aero benefits. The full range of Vitus road bikes will be available in the coming weeks, and you’ll find details of the rest of the range in the coming days.